Join three beautiful witches in a casino online slot game that takes place in a troublesome and mysterious forest and encounter a whole range of ghostly symbols from pumpkin-headed scarecrows to bubbling cauldrons and many more. Spellcraft is great if you’re into a bit witchcraft and will have you depositing and spinning more and more. Playson offer the best of both worlds by being creators and innovators as well as delivering outstanding service to other casino developers! They boast an employment of over 250 staff worldwide as well as using advanced high definition graphics and new technology to give their audience the very best! You can learn more about Playson here. 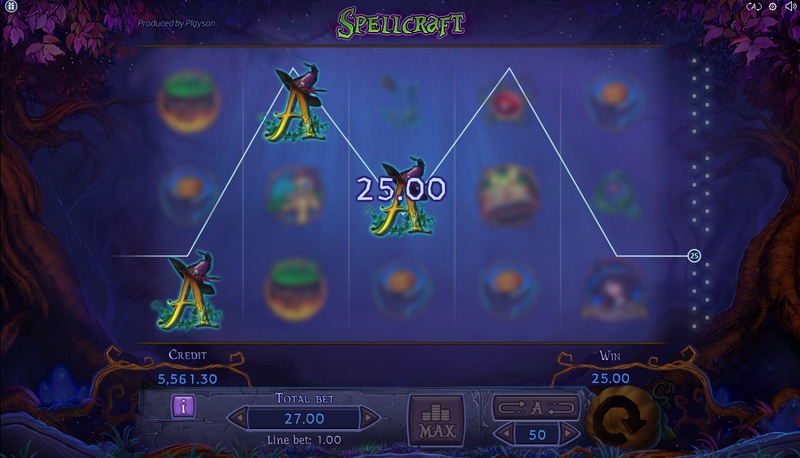 Now see their latest creation, Spellcraft and see if you can ally with the witches and wizards in this mystical themed slot-game! Always fancied yourself as the wicked witch of the west? Or maybe you have already earned that title within your workplace or home! Or perhaps you enjoy transforming into a mysterious witch, when the calendars strike October! 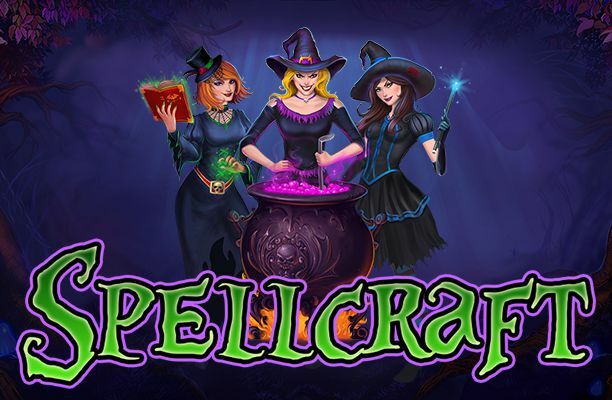 With Playson’s creation Spellcraft, spin the reels and help your new-found friends, the 3 witches, to create spells and who knows – maybe one of those spells will grant you a large fortune! Don’t get too superstitious though, the witch’s black cat may play in your favour if you play your cards right! 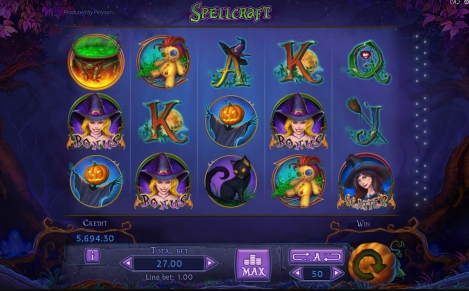 The symbols used throughout this slot-game are reminiscent of Halloween and these images include: 3 mischievous witches, a black cat, red orb, a spell book, a mirror, green potion, a pumpkin scarecrow, a voodoo doll, and a toxic green bubbling cauldron. The spell book is of the highest value, with a 600-coin pay-out when you align 5 of them on an active pay-line. The voo-doo doll is your next favourite, despite horror movies telling you differently, as this will award you with 500 coins for 5 of them. The green cauldron will provide you with 400 coins, the pumpkin scarecrow 300 coins, and the green potion and red orb will reward you with 200 coins! The card values are also present in this game: J, Q, K and A where you can expect to receive lower pay-outs for matching 5 of these, with the Ace and King paying 150 coins, and the Queen and Jack rewarding you with 100 coins for 5 symbols! With their being 27 pay-lines to play with, putting money on all of them would put you back at a minimum bet of 27p to the max bet of £81. There is a ghoulish opportunity for everyone to have a go at their spell-binding skills and winning some serious fortune! The wild symbol performs its usual purpose, it will change itself for other symbols into giving you more of a chance of landing a matching line! 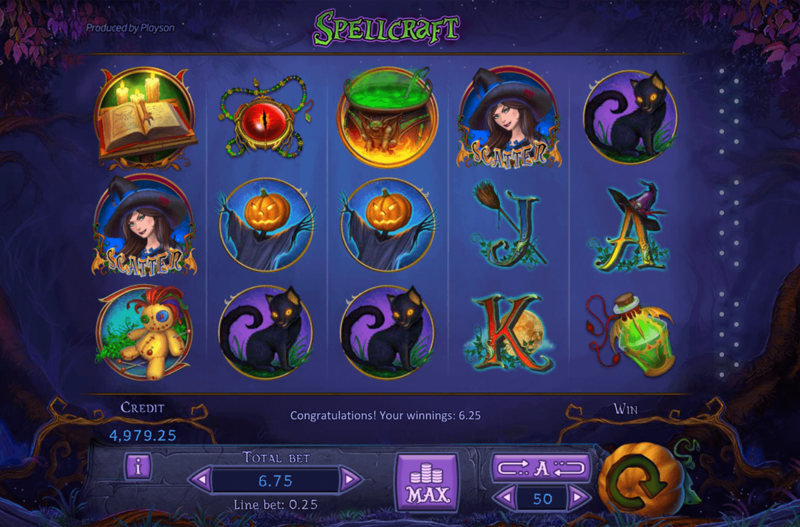 The scatter symbols represented by the dark-haired witches and once you find 3 or more of these, this will launch you into a free spins round, with either 9, 12 or 15 up for grabs, depending on how many witches you catch! There is also an expanding wild to unlock if you are lucky enough to have all 3 witches appear on the reels at the same time, you will activate The Power of 3 bonus feature, and during this, the red-haired witch symbol will expand on the reels to accumulate your winnings even further! No longer must you wait for that letter from Hogwarts, as you can relish the opportunity of being a witch (or wizard) anytime you like! From just 27p a bet, this makes it a favoured penny slot machine, so come and try out your magical powers today - you might just surprise yourself! If you want more games Click here.